Last weekend, Chris and I headed over to the annual Reno Celtic Celebration. I wasn't quite sure what to expect, having never been to anything like this before, so I was pleasantly surprised at how interesting and fun it was. 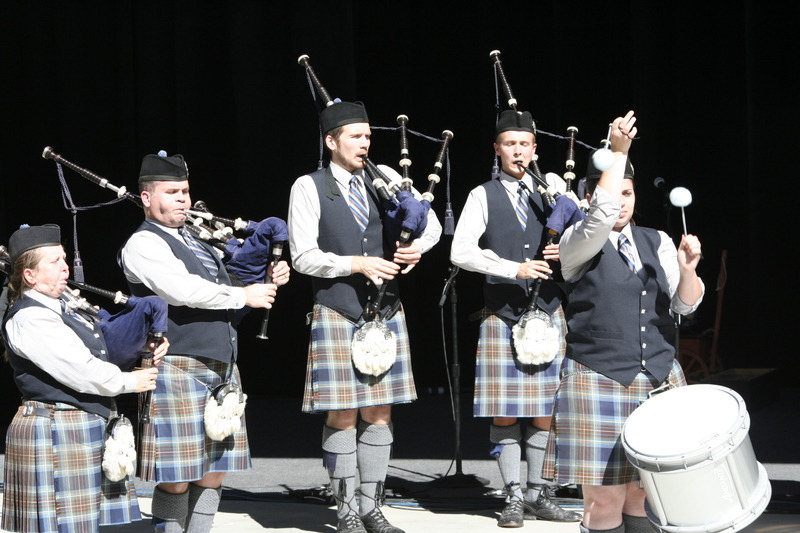 We saw the opening ceremony which included two pipe bands, the Sierra Highlanders and the City of Sacramento Pipe Band. I know a lot of people don't like the bagpipes, but I really love the sound of the music they make. Plus, they have people who do cool drum stick twirling as part of the routine! After that we headed over to the dance stage and saw some great traditional country dancing and Scottish Highland dancing. When I was in college I took an aerobics class to fill the sports/recreation credits that Carolina required. My instructor happened to be part of a highland dance team and she gave us several classes on the technique. Can I just say, it is REALLY difficult. You are on your toes the entire time, and each move includes a hop. It is very aerobic and requires incredible calf muscles all at the same time. It was an amazing workout, even though I was terrible at it (of course, I've never been much good at dancing)! Anyway, I have so much respect for the girls who can perform this type of dance. While we were observing all of this, one thing I couldn't stop myself from doing was spotting all of the hand knit socks! 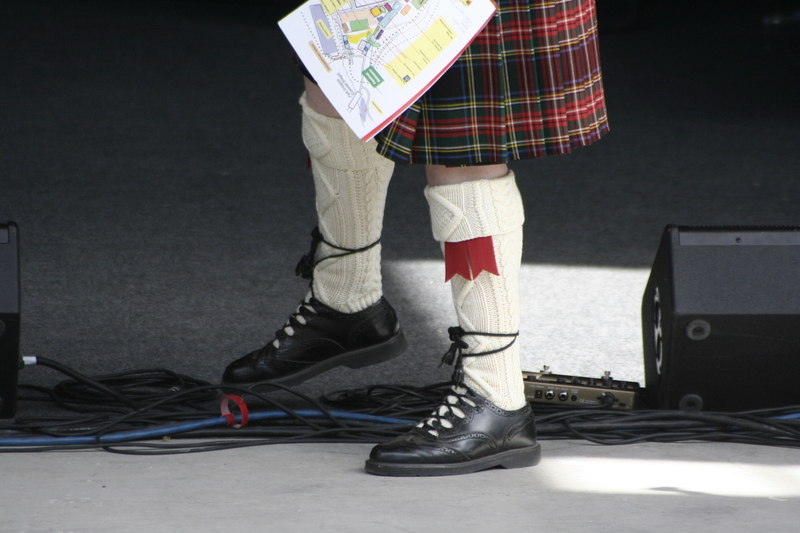 Or, I suppose they would be called kilt hose, since most of them were worn by men in kilts. They must have some knitters in their life that really love them because some of them were crazy complicated! I saw some in the aran style, with cabled diamonds and seed stitch in the center. Also, another pair had lovely cables all over. Generally speaking, they all had complicated, but beautiful, cableing and they have made me want to knit a pair. If I am feeling ambitious, perhaps Rhiannon, by Cookie A. or Kilravock, by Sharon Rose which are a little less complicated but lovely! And now, the highlight of my day. We were on our way out when we spotted some spinning wheels set up in an out of the way corner of the festival. Naturally, I made a bee line for them and that is where I found the Carson Sierra Spinners and Weavers. I spoke with several of the ladies, and I even got a quick spinning lesson! I have been thinking about getting into spinning for a while now. There is something so satisfying about creating a project from beginning to end, and I think my ultimate goal is going to be spinning enough yarn for a sweater, and then knitting it as well. 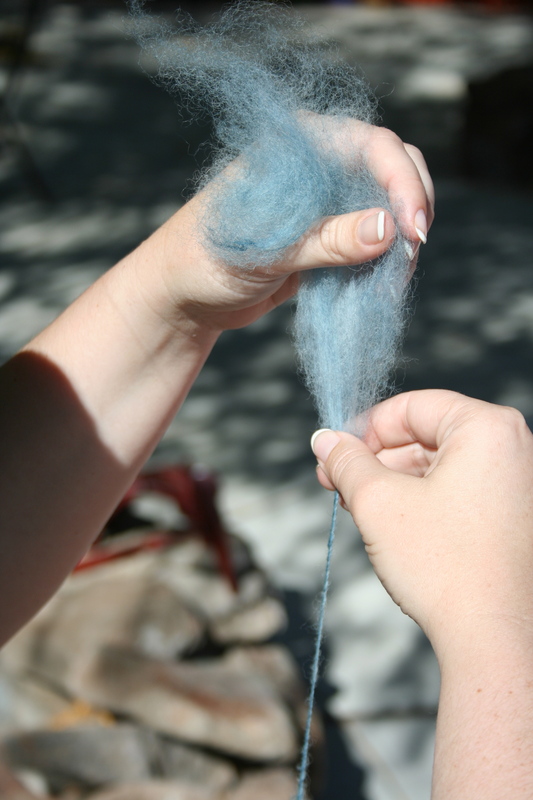 After my short encounter, I am hooked on spinning and watch for future posts on how it is going!